Old Navy parted ways with longtime agency Crispin Porter + Bogusky over the summer, but it looks like its holiday advertising will remain as quirky as ever. Last year at this time, the clothing retailer got George Takei to sing an epic power ballad promoting an epic Black Friday sale called "Cheermageddon." 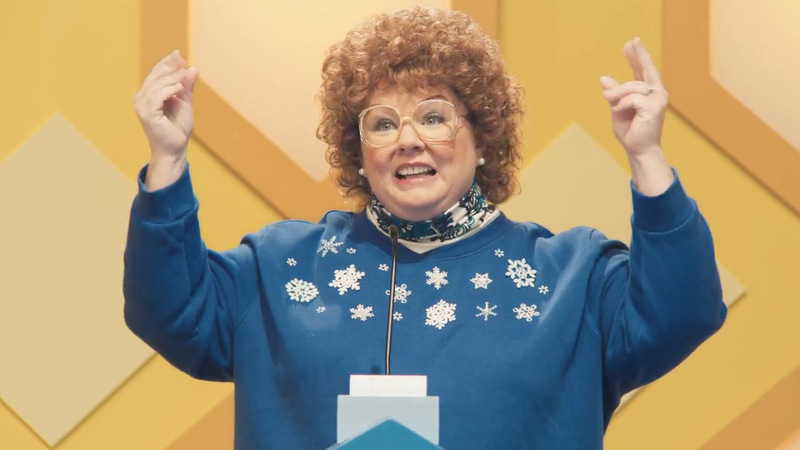 This year, it's Melissa McCarthy's turn to bring the funny. She plays a contestant on a faux game show called Overnight Millionaire—and gets miffed when her big prize isn't actually a million bucks. Old Navy, however, is giving away $1 million to one lucky shopper on Black Friday. The first 500 shoppers in line at every Old Navy store when it opens at 7 p.m. Thursday will have a chance to win the jackpot. McCarthy, as usual, is great. And the vintage look of the game show, nicely pulled off by director Roman Coppola and Old Navy project agency Chandelier in New York, certainly helps the work stand out in a crowded field. (The spot is running on TV as a :30.) Alas, there is no overnightmillionaire.com. The retailer is also offering 50 percent off the whole store on Thursday and Friday—a tempting offer, so long as you're not among the critics angry at retailers for opening on Thanksgiving at all.